In the last phase of Loksabha election, people of Varanasi will vote for Loksabha Election 2014. Varanasi Loksabha constituency has come into limelight because of BJP's PM candidate Narendra Modi contesting from this seat. AAP's Arvind Kejrewal is contesting against Narendra Modi in Varanasi because he wants to defeat him. Congress has put local leader Ajay Rai against Modi in Varanasi. Other political parties like SP, BSP and TMC have also put their candidates to stop Narendra Modi from winning. 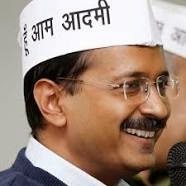 AAP's is making every effort to win the support of voters in Varansi through door to door campaigns and Arvind Kejrewal is himself leading this campaign. He is very confident of his win from Varansi; though, we will only know the results on 16th May. On the other hand, Congress is doing all efforts to gain support in the favor of their candidate. Yesterday, Rahul Gandhi did an impressive 12 KM long road show to show strength of Congress. Similarly, CM Akhilesh Yadav did a roadshow to gather support for SP candidate. 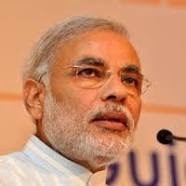 Overall, all opposition parties are in a fight with the only single aim to defeat Narendra Modi. Every political party, including BJP had succeeded in showing their strength through big rallies and roadshow; however, what will be the actual results that we will only come to know on 16th May. Here one thing is in the favor of Narendra Modi that opposition votes are likely to split between so many parties thus giving an edge to Narindra Modi. On 12th May, 2014 voting for all phases of Loksabha election will come to end. Tomorrow, 41 Loksabha constituencies will vote, including Varanasi. It was a hard task for the Election Commission of India to conduct biggest elections of the world; however, with the end of tomorrow's phase of Loksabha, we can say the Election Commission of India did a good job. In last the phase of Loksabha election, voting will take place in three states, Bihar, Uttar Pradesh and West Bengal. Earlier, Election commission said that exit poll results cannot be shown before 16th May, 2012. However, now election commission has clarified that Exit poll results can be shown after the 12th May voting. With this, the way is clear to show exit poll results conducted during the different phases of the election after completion of voting in all phases. Though, exit polls are not always accurate but we can get some sense of possible outcomes of Loksabha Election 2014 through these exit polls. Many Media houses and survey agencies have conducted exit polls across India to get an idea of possible results of Loksabha election 2014. Now all types of media channels are free to publish or broadcast such exit polls. Only one phase of Loksabha Election is pending and voting for all phases of Loksaba election 2014 will come to end on 12th May, 2014. At present whole of the world wants to know the results of the Indian Loksabha election. For the final results of Loksabha Election, we are required to wait till 16th May but we can watch exit poll results for Loksabha election on 12th May after 6 PM. As we are reaching at the end of Loksabha election 2014 in India, we are also getting few bad news related to Loksaba election too. These news indicates that there are few forces which want to influence a Loksaba Election in their favor. The Recent killing of innocent people in Assam, clearly indicates that innocent people are again targeted to communalise election in the state. This incident reminds us about Muzafarnagar riots which took place just before the start of Loksabha election and created a communal divide between people of two religions who were living happily so far. 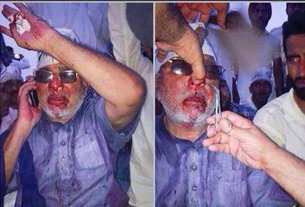 An AAP candidate from Patiala was brutally beaten up by ruling party workers and the police took a long time to register case against alleged persons because of their nearness to ruling party. There are many news from different states of India where state ruling parties used the state machinery to their advantage. During the election, all power goes in the hands of the Election Commission; however, many politicians try to influence voters with the help of government machinery through corrupt politicians-Burocrats nexus. A sting operation video become viral on social media in which few persons of a political party tried to buy votes for Rs 500 each. There are many such bad things happening under the nose of the Election Commission and it is unable to do anything. Under such circumstances, we can't term Loksabha election 2014 completely free and fair. It would have been better, if the election commission of India took more strict actions against corrupt and wrong political leaders and political parties. There are many political leaders and political parties in India who use such wrong and unethical tactics to divide people and rule over them. To some extent, it is a failure of the election commission of India because it is the duty of Election commission to safeguard lives of people while conducting elections. Now only two more Phases of Loksabha election are pending and we can pray for good that Loksabha Election gets completed peacefully. In 2014 Loksabha Election, we can find great enthusiasm among voters to cast their votes. This time more numbers of people are coming out of their homes to become part of the biggest election of the world. The biggest right, which a democracy can offer to its people is "right to vote". This time, many people have understood the value of this right given by democracy to them. In most of India states, old records of voting are breaking up and as compared to 2009 Loksabha election 2014 Loksabha election are seeing a huge response by voters. No election in the world can be successful without active participation by voters. Today's Indian voters are educated and they are aware of their right. The Indian voter has realized that the only option to clean corrupt Indian system is to elect honest politicians. Now it is not easy for the politicians to fool Indian voters. This time, Indian voters are coming out freely to cast their votes so that they can elect a leader of their choice. We can say that Loksabha election 2014 are successful from the great response by Indian voters. On 16th May, we all will come to know about the actual choice of Indian Voters. Election Commission of India and local government and non-government bodies did everything to educate people about the importance of casting a vote. So far, we are getting a positive response from people and they are highly enthusiastic about taking part in Loksabha election 2014. 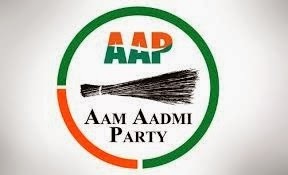 Aam Admi Party (AAP) making inround into National Politics? Only two phases of Loksabha election 2014 are remaining and on 16th May, we will come to know that who is going to make next government at the Centre. Now, any party or alliance may win this election, but one thing is coming out clearly that AAP has emerged as a strong national political party in India. So far, we don't have the results of Loksabha election; however, at numbers of places we can find good supporters of the AAP who are openly coming out in its support. In north India, we can see a good support base for AAP candidates. At numbers of Loksabha seats, AAP candidates have emerged very strongly and they are likely to gain good votes. AAP has achieved something in very short time, which large numbers of political parties fail to achieve in many years. At 100 plus Loksabha seats, AAP candidates are going to get more than 10% votes. At this stage, it is hard to give a clear picture because actual results are still present inside EVM machines. Earlier, I was also doubtful of support of AAP among people; however, after travelling to numbers of places and getting feedback of many people, I have found that we can't simply write off AAP. Now one thing is clear that people have voted for AAP, however, what are actual percentage of voters who have voted for AAP is not clear; therefore, we can't predict exact seats won by AAP. AAP's internal survey says that it will win 300 plus seats; though, I doubt it. I can say, AAP has emerged a strong player in Indian politics and in the coming times, this party will add a tough fight to Congress and BJP.